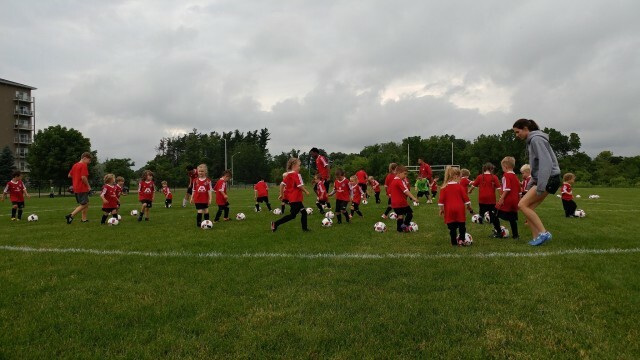 Updated Tuesday April 9, 2019 by Brantford Galaxy Youth Soccer Club. Our highly successful Grassroots program has delivered an exciting learning environment for young soccer players at all levels over the past 10 years in both an indoor and outdoor setting. We are pleased to be again offering this program in an Outdoor setting during the summer of 2019 for players aged 4 to 6 (birth years 2013-2015) !!! Grassroots Soccer offers these players training under the supervision of professional soccer instructors once a week. Over the course of the 8 weeks a variety of skills will be addressed including Passing, Shooting, Dribbling, Receiving the Ball, Ball Control, Defending, Support\Team Play and Sportsmanship. Sessions will also include small sided games to give participants the opportunity to further develop their soccer skills in a game like scenario. Spots are limited so act fast to avoid disappointment. Click here to register online today !! !